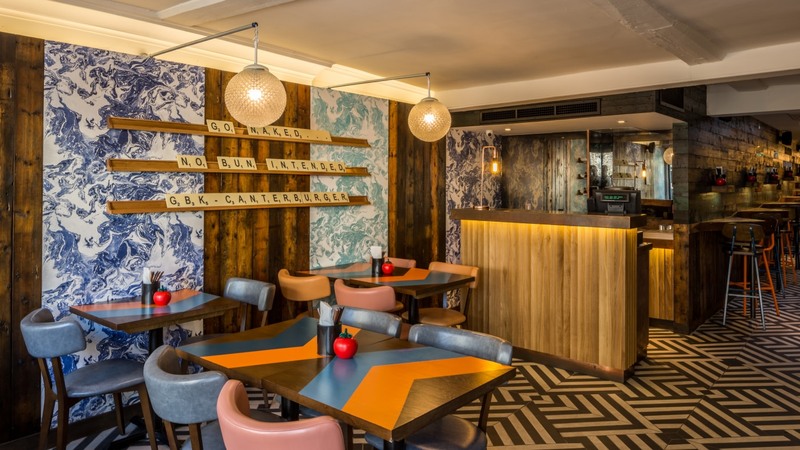 London-based architectural practice Moreno Masey has once again created an original restaurant design for GBK in Canterbury. Once an electric cinema and then dance hall, the building’s heritage has influenced much of the design scheme, with Art Deco detailing throughout. To the front of the restaurant, Czechoslovakian 1950s cut glass pendants from skinflint provide illumination and focus above the main eating area.